Following Mark Weiser’s vision of the disappearing computer they believe in giving developers full access to software and hardware alike. “Say you bought a cellphone. Say you decided you didn’t like the look of it much. Wouldn’t it be cool if you could sketch your ideal design, have a buddy knock it up in a 3D modeling program, then see it in the flesh? 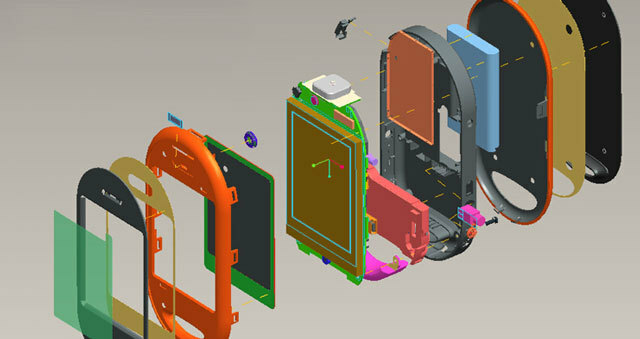 With OpenMoko’s FreeRunner, an open-source linux cellphone, it’s a piece of cake: the CAD files are on the net for all to download. The term upcycling was coined by William McDonough and Michael Braungart, authors of Cradle to Cradle: Remaking the Way We Make Things. Â Neil Postman wrote that “Technological change is not additive; it is ecological. A new technology does not merely add something; it changes everythingâ€¦”  keeping that in mind and looking back at the last decade we can notice at least two disruptive technologies that emerged and caused a huge cultural shift. One is the World Wide Web, especially what is known as web.2.0, and the other one is wireless communication, mobile handsets in particular. These technologies have changed, and keep changing perceptions of society, of time and place, of the way people are acting and participating in social activities and in the way they relate to the objects that surround them.